Pre-heat oven to 350F. Muffin pan, greased. Or 8-inch round cake pan, greased. Combine the flax seed and water into the processor and pulse a few times. Put everything else, except for the optional toppings if you’re using. Scoop 2 tablespoons worth into muffin tin. Sprinkle with toppings, if used. 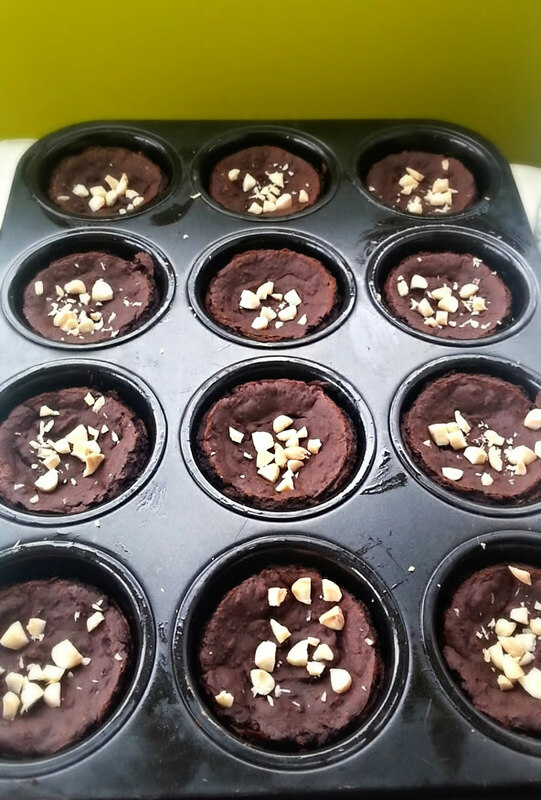 Bake for 20-25 minutes and let it cool completely before taking the black bean brownies out of the muffin pan. It will be crispy around the edges and soft in the centre. It will sink a bit when it cools but that’s okay because that’s where the delicious fudgy part is!